Go and look at NZ0615 : Egglestone Abbey: The Nave. There is a round-arched doorway at the western end of the Nave, in the North wall, giving access to the Cloister. 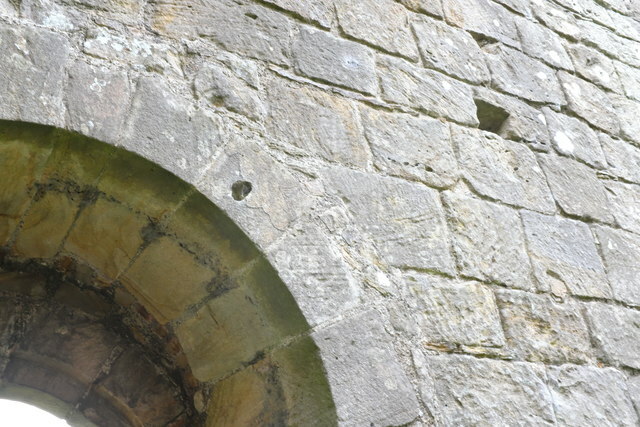 This is that arch from inside the Nave, still showing the dressing marks in the fine stone.